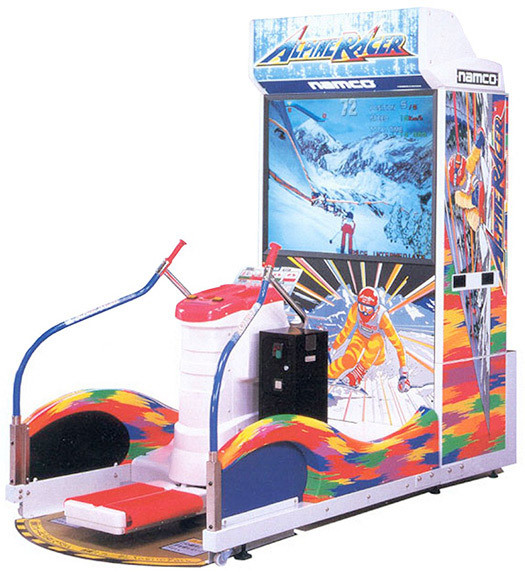 While standing on 2 pedals and using the bars for stability this Namco Alpine Racer Skiing Arcade Game for rent will offer you 2 types of races, downhill and out of the gate that includes 2 play modes, time attack and Race. 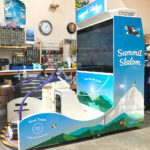 As you cross the checkpoint you will have your time extended.Rented Alpine Racer Skiing Arcade Game has great visuals that encourage players to act out the maneuvers when going over a mogul. 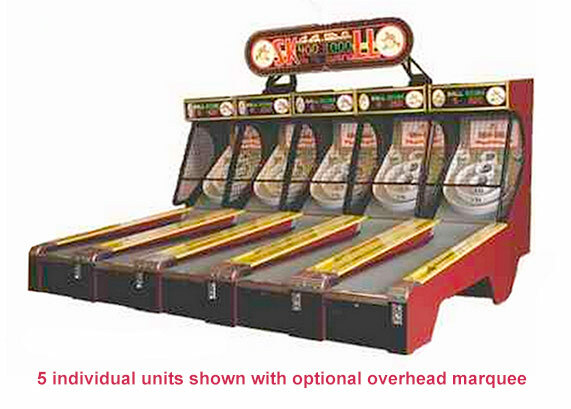 Alpine Racer Skiing Arcade Game for rent is even enjoyable watching the players play. It is so much like the real thing that you can almost feel yourself get cold. 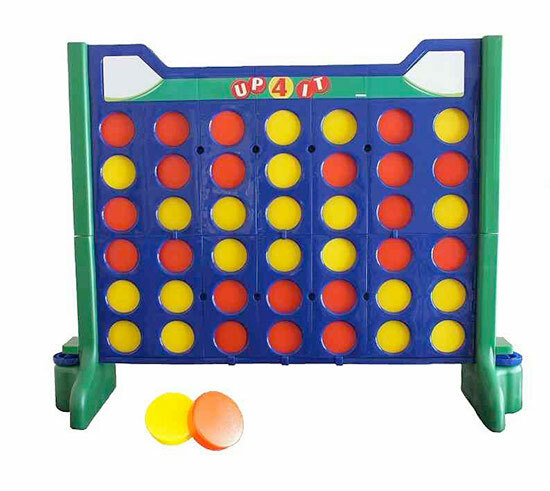 This is a game to engulf your senses into some skiing fun. 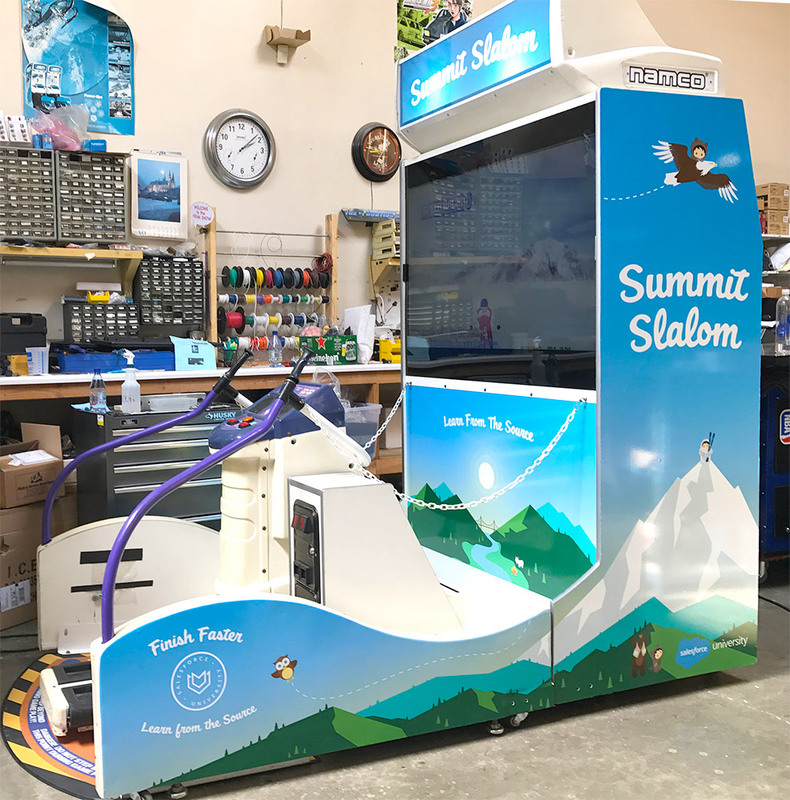 Video Amusement delivers Alpine Racer Skiing Arcade Games for rent in California to San Francisco Moscone Center, AT&T Park, SF Masonic Auditorium. San Jose Convention Center, San Jose Event Center, SAP Center, Santa Clara Convention Center, Levi’s Stadium, Great America. Mountain View Shoreline Amphitheater, Monterey Convention Center, Oracle Arena, Oakland Coliseum, Sacramento Convention Center, Los Angeles Convention Center. LA Live, Staples Center, San Diego Convention Center, Anaheim Convention Center, Long Beach Convention Center among others. We cover Nevada Las Vegas Convention Center. Sands Expo Convention Center, Mandalay Bay Convention Center. MGM Grand Conference Center, T-Mobile Arena and all major venues in all the Western States.